Hey, attack-ad honchos, stop stealing our Pinocchios! — voice-over in Congressional Leadership Fund ad attacking DCCC ads in support of Josh Harder (D), who is challenging Rep. Jeff Denham (R) in California’s 10th District. Imagine our surprise when we started watching this ad and suddenly saw four Pinocchios dance across the screen, along with a citation to a May 10, 2017, fact check published in The Washington Post. Hmmm, we don’t recall fact-checking any Democratic Congressional Campaign Committee ads in this race. Indeed, we had not. This is the second time this week we have caught politicians wrongly appropriating our Pinocchios for political purposes. We are not happy about it. During the debate over the House GOP’s American Health Care Act (AHCA), the bill to repeal and replace the Affordable Care Act (ACA), also known as Obamacare, we had criticized language from Democrats that the proposal would result in millions of people being “kicked off” health insurance. The Congressional Budget Office estimated that under the GOP replacement bill, 14 million fewer people would be insured in 2018 than under the current health-care law and that 24 million fewer people would be insured by 2026. But that did not mean all of the 14 million or 24 million would be “kicked off” health insurance or “lose” health insurance. Many of the people who would be uninsured, at least initially, would choose not to have insurance, because they had decided to obtain coverage only to avoid a penalty under the ACA’s individual mandate; the replacement bill would eliminate the mandate. The CBO estimated an additional 5 million people would lose insurance because of reductions in Medicaid enrollment — after some states discontinue the Medicaid expansion under the ACA. But that would probably not happen in California. We did not give a Pinocchio rating because we covered these statements as part of a roundup. Probably it would have been worth two Pinocchios. But note that in this ad, the DCCC did not say “millions” but “tens of thousands.” The CBO did estimate that 2 million people with coverage through their employers would lose it because companies would no longer be required to provide insurance. So “tens of thousands” is actually defensible. As for the DCCC’s line that the law “weakens protections for preexisting conditions,” that’s also defensible because of a CBO report that came out after the House passed the AHCA. As we have documented, the GOP bill would have weakened protections for people with existing health conditions. States would have had the option to make changes that could have left people with preexisting conditions vulnerable to large increases in premiums, according to the CBO report. In effect, the CBO said, in the states that took full advantage of the possible waivers, the guarantee that preexisting conditions are protected would be so undermined that it would be worthless. In other words, it would be a real stretch to say the DCCC was filled with “lies.” So how did the Congressional Leadership Fund (CLF), a group affiliated with House Speaker Paul D. Ryan (R-Wis.), manage to quote the Fact Checker as saying the AHCA vote did not change the guarantee to cover preexisting conditions? That’s because they cited an unrelated fact check that appeared before the critical CBO report was issued. 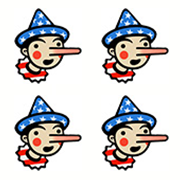 Our May 10, 2017, a fact check concerned a tweet by Sen. Kamala D. Harris (D-Calif.) after an amended version of the AHCA passed the House: “Once again, 129M people with pre-existing conditions could be denied coverage and insurers could charge sick people more money.” Most of the fact check was on whether 129 million people really would be affected — and we concluded it was much too high to be credible. As a secondary matter, we looked at the question of whether people with preexisting conditions would be denied coverage. The amended AHCA had a line saying, “Nothing in this Act shall be construed as permitting health insurance issuers to limit access to health coverage for individuals with preexisting conditions.” Harris argued that her tweet referred to the possibility that people would be “effectively denied coverage” because they could not afford it. There were two versions of the AHCA. The first one failed to pass the House, but the CBO had said it could “attract a sufficient number of relatively healthy people to stabilize the market.” The revised version, allowing waivers for states, was hustled through without a CBO score. So when we evaluated the Harris tweet, there was no CBO report on the legislation. It later turned out that the CBO report on the revised bill, as we noted, found that in states that sought the waivers — estimated to contain about one-sixth of the U.S. population — people might end up being priced out of the market. The core of the fact check, however, was about Harris’s estimate of 129 million, not the guarantee of coverage. 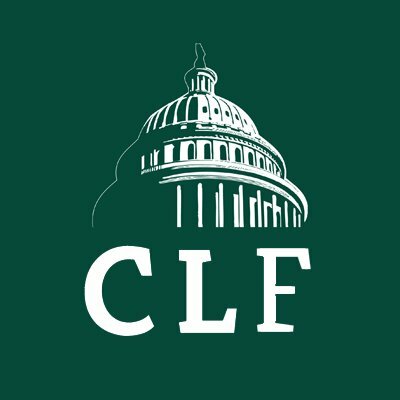 So the CLF is cherry-picking the Pinocchio rating, even though the fact check mostly examined an entirely different issue — the 129 million number. And the CLF ignores the fact that the CBO showed that the AHCA did undermine the guarantee in states that sought waivers; it just conveniently pretends the critical CBO analysis was never issued. We realize that politicians are tempted to weaponize fact checks. We cannot stop the practice. But it’s important that fact checks be quoted correctly. Here’s a pro tip: Cite critical fact checks when we actually fact check your opponent. Don’t pretend that a long-ago fact check about a different person or a different issue can be easily applied to your situation. Otherwise, you will end up with Pinocchios. “The ads attacking Jeff Denham? Independent fact checkers say the charges aren’t true."